Don Dunstan, the man who put the Swing into the ’60s in South Australia, was a reformist who achieved profound change after years of deep-seated conservatism. I want for people…to live the kind of life they want to.” Don Dunstan This Is Your Life, 1977. 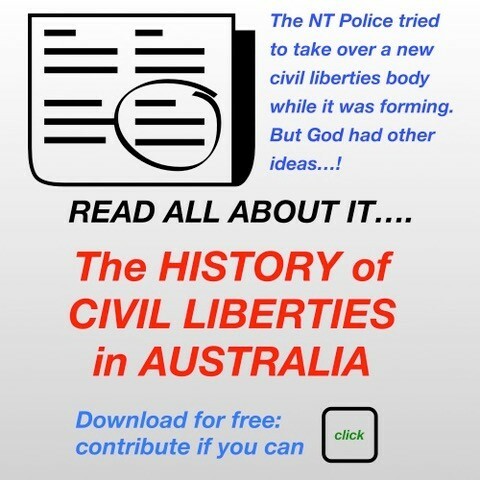 I purchased this book as part of research for a history of civil liberties in Australia, the South Australia chapter. I wanted to put the SA Council for Civil Liberties records (newsletters, letters, etc held at Flinders University) in their political and social context. This book very amply met these needs. Donald Allan “Don” Dunstan AC QC (21 Sept 1926 – 6 Feb 1999) was a South Australian politician. He entered politics as the Member for Norwood in 1953, became state Labor leader in 1967, and was Premier between June 1967 and April 1968, and again between June 1970 and February 1979. The paucity of Dunstan biographies to date has been explained by Neal Blewett, a former MP, diplomat, political scientist and close associate. Blewett pointed out that such works would have to face up to the sexual issues, making the task difficult and sensitive (p6). Author Dino Hodge has achieved this entirely successfully. He puts Dunstan’s reformist program in its cultural and political context and addresses Dunstan’s role in public discourse about homosexuality in the 20th century. I found Hodge’s biography to be very engaging, clearly written, and extensively researched and sourced. 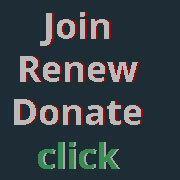 Reading it is an enjoyable and a rewarding experience. Hodge has been respectful of his subject, avoided sensationalising an unorthodox lifestyle and is sympatico with Dunstan’s life’s objectives. 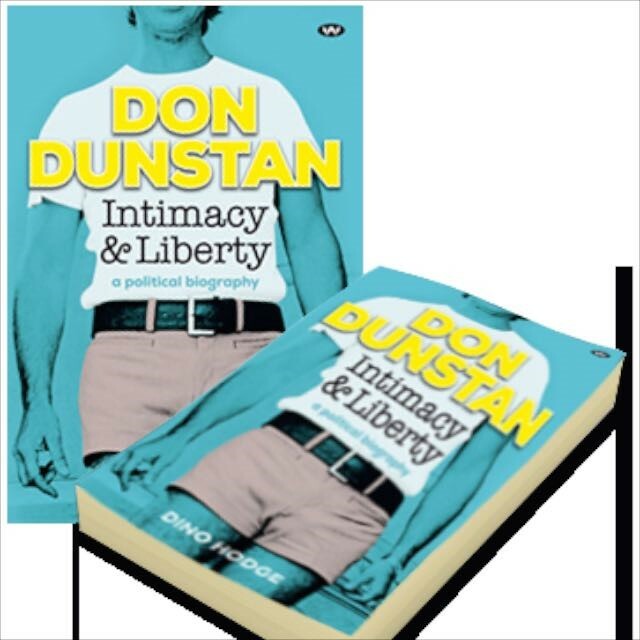 The volume is liberally illustrated with photos spanning Dunstan’s life, friends and activities. it is well indexed, and provides a useful chronology and list of key individuals, important to researchers and readers alike. To the ultra conservative Adelaide establishment, Dunstan’s driving reforms were an anathema. One has only to consider that establishment’s refusal in recent times to admit errors and miscarriage of justice in the Henry Keogh case for about 15 years – when they were obvious and proven – to realise how entrenched the adverse attitudes to positive change must have been half a century ago. The phrase, the Don Dunstan Decades, have an alliterative flair which the man himself would probably have appreciated. Dunstan supported and promoted civil liberties values during the 1960s, an era of police abuses, particularly of homosexuals. 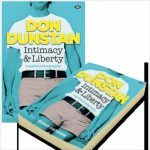 “Don Dunstan in the 1960s and 1970s was Australia’s foremost civil rights leader, introducing legislative and cultural reforms to many fields of inequity and injustice” (p311). The first is that laws a community enforces should be designed solely to allow members of that community to live together amicably, and the second is that no-one in the community has the right to lay down that a certain code of behaviour should be observed by everyone in the community, regardless of the effect such a code has on individuals in the community .(p141). A reformist, Dunstan brought profound change to South Australian society. 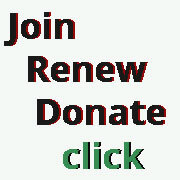 His socially progressive administration enacted laws aimed to improve social and political equity. “The Dunstan legacy changed forever the manner in which South Australians live.“ (p2). “From the first year of entering the South Australian Parliament in 1953 until his death in 1999 and beyond, Dunstan ensured his commitment to social justice extended to all of South Australia’s citizens. Gently at first and then increasingly boldly, he challenged homophobia and declared himself a man happy to be associated with the community whose rainbow flag today is recognised globally. In this regard, Dunstan was…truly a man of all colours” (p310). The pity is that Dunstan remained a colossus in South Australia only. The nation would have benefitted greatly had he bestrode the Australian stage more widely because of what he achieved in the crucial areas of the White Australia policy and multiculturalism. I recommend this book to anyone who is interested in social change, justice and civil liberties. 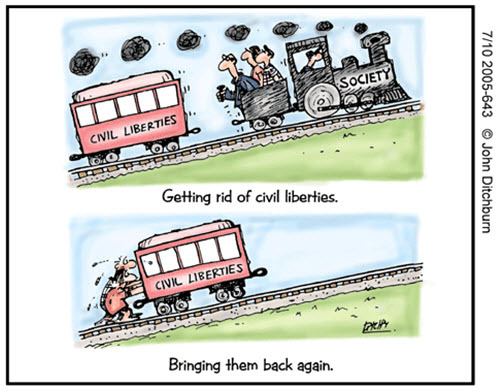 Note: Dino Hodge is a member of Civil Liberties Australia.